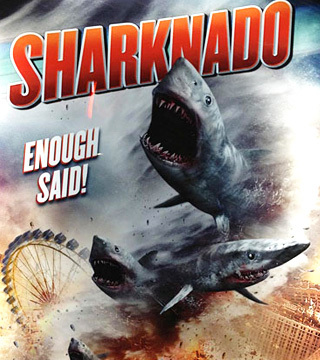 Taking a slight detour from the weekly ratings for the current sci fi/fantasy shows, I wanted to throw in a comment on the ratings of Syfy’s latest critters-run-amok film–which has received a ton of attention on the internet–Sharknado. For those not familiar with it (which would only be possible if you’ve been living under a rock the last few weeks), this latest creature-feature cheapy comes from Asylum (best known for mockbusters like Transmorphers, Almighty Thor, and just recently Atlantic Rim) and it involves water spouts that emerge from a hurricane that hits the coast of California which pick up thousands of sharks only to deposit them on the unsuspecting citizens of Los Angeles (no really). What little I saw of this one would assuredly put it high in the running for the honor of worst movie ever (which is likely what they are going for), but the film has stirred up plenty of buzz on the social networks and brought a sizeable amount of attention to Syfy (much mores so than their usual outpouring of this type of movie such as Chupacabra vs. the Alamo, Mega Shark vs. Giant Octopus, Dinoshark, etc.). However, that has not necessarily translated into strong ratings for the network. The initial airing of the movie pulled a 0.4 rating in the 18-49 demographic with 1.37 million total viewers which is about what the typical Syfy creature-feature averages, if maybe a little bit lower. Of course the extended attention the movie has received on the internet, particularly Twitter where it had over 386k mentions on the night it aired, has prompted the network to queue it up for a quick rerun this coming Thursday, so that represents additional revenue potential from the bonus add-time they will sell (and the social chatter may get them a slighter higher rate). Plus, there’s already talks of a sequel. But The Hollywood Report wisely asks whether the attention that Syfy is getting from this movie is what the network really wants when they are also trying to push more serious genre entries like Defiance and the upcoming Helix. Of course sci fi fans have been rather disenchanted with the network for quite a while with their preponderance of reality shows, sci fi lite entries (Warehouse 13, Haven, Being Human), wrestling broadcasts, and the creature-feature cheapies like those mentioned above. 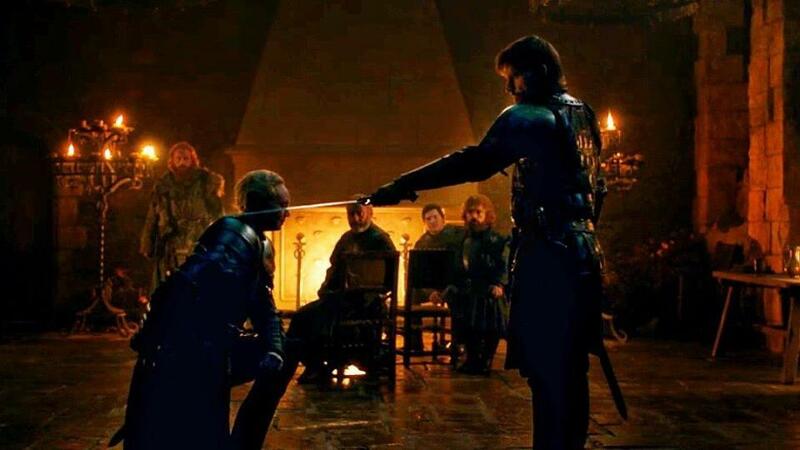 From what I have seen on the social networks, the core fanbase has strong doubts about the network and has shown a reluctance to buy into some of its newer offerings (which is possibly why the promising Alphas never managed to develop much of a following and got the axe after only two seasons last year). Syfy had distanced itself from more serious science fiction output over the last few years, though they appear to want to head back in that direction to some extent. But the image cast on the network by movies like Sharknado and some of its other output will make it harder to lure fans back to tune in for shows like Defiance and Helix (and the former experienced a notable drop in its ratings after getting off to a strong debut in April). And really, Syfy has become much better known for their Sharknado/wrestling/reality output which makes it that much more difficult for them to find success with genre-centric shows like Defiance, Helix and previous franchises like Battlestar Galactica and Stargate. They can tread the line between the two types of output for only so long before they have to make a decision on which path they will ultimately follow and Sharknado seems to be pushing them more to that side. On Monday night, Under The Dome remained steady for CBS, pulling another 2.7 rating with 10.8 million total viewers. Expect a renewal announcement for this show at any point now as it has been one of the biggest Summer successes for the broadcast networks in a while. Over on NBC, Siberia slipped to a 0.8 rating with right at two and a half million total viewers. Expect this one to air out its remaining episodes then disappear into TV Limbo. On MTV, Teen Wolf held steady with a 0.8 rating and 1.82 million total viewers, strong numbers for that basic cable network. On Sunday night, True Blood again won the night among cable shows with a 2.5 rating and 4.54 million total viewers. That also placed it well above all of the offerings over on the broadcast networks, though those were mostly repeats. And coming as no surprise, HBO has announced that True Blood will be returning next year for a 7th season. On TNT, Falling Skies remained relatively stable pulling a 1.1 rating with 3.33 million total viewers. On Friday, Continuum improved from the prior week with a 0.4 rating and 1.26 million total viewers. On Wednesday, Futurama pulled a 0.7 rating with 1.43 million total viewers. As far as the burn-off shows, The CW’s Cult went out with a whimper, pulling a 0.2 rating with only 0.54 million total viewers in its first hour last Friday and then delivering only a 0.1 rating with 0.4 million total viewers for its series finale. That likely rates as one of the lowest ever finales for a broadcast network show. On Saturday, Zero Hour scraped up only a 0.3 rating with 1.86 million total viewers and 666 Park Ave managed only a 0.4 rating for its series finale with 1.53 million total viewers.